Happy Friday loves! Hope y'all had a great week and have some fun weekend plans ahead. My birthday is Monday so we will see if Steven has anything planned to celebrate! Next weekend we are doing a family get-together to celebrate Easter and my birthday so I was feeling inspired to share some outfit ideas for Easter! 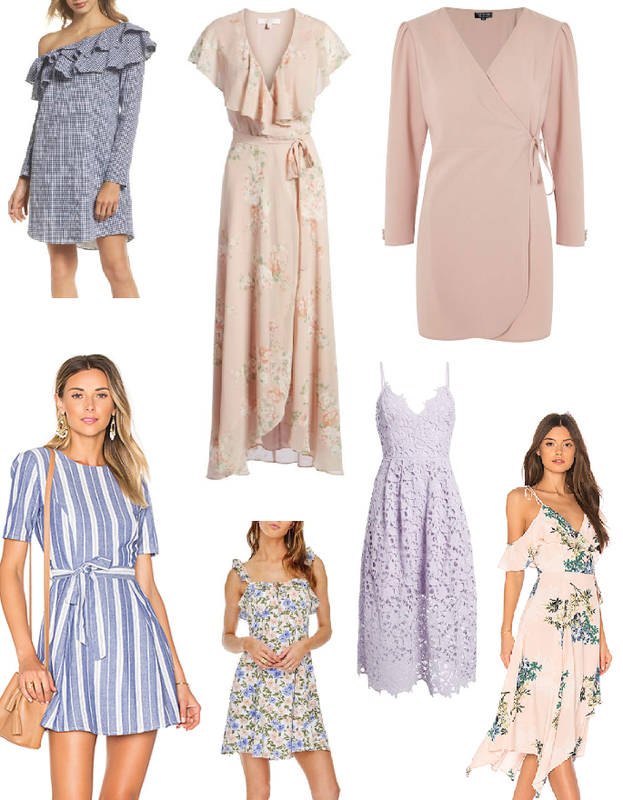 There are SO many spring dresses that I have fallen in love with this season and they are all relatively affordable. The floral tank dress and striped blue and white dress are super high on my wish list right now! Love them and you would ROCK them all! Have a fabulous weekend! These dresses are so cute. I love the striped dress, and the floral dress. Love them all but especially the second one! So many gorgeous dresses!! I love that striped one, I think I need it!! Loving that striped dress! Happy Happy Birthday!